The women of Jortz would like to thank all of their supporters for making their daytime dreams come true [nighttime dreams]. Much of our sales come from donated product from our fans as well as our own personal materials reconstructed into awesome usable stuff (ecovelofriendlianism). We’re stoked on being primarily self supported but certainly haven’t done it alone. Tons of thanks go out to the sponsors (links!). Interested in supporting the Jorts? Have a Jorts proposal? Holler at a Jorts. 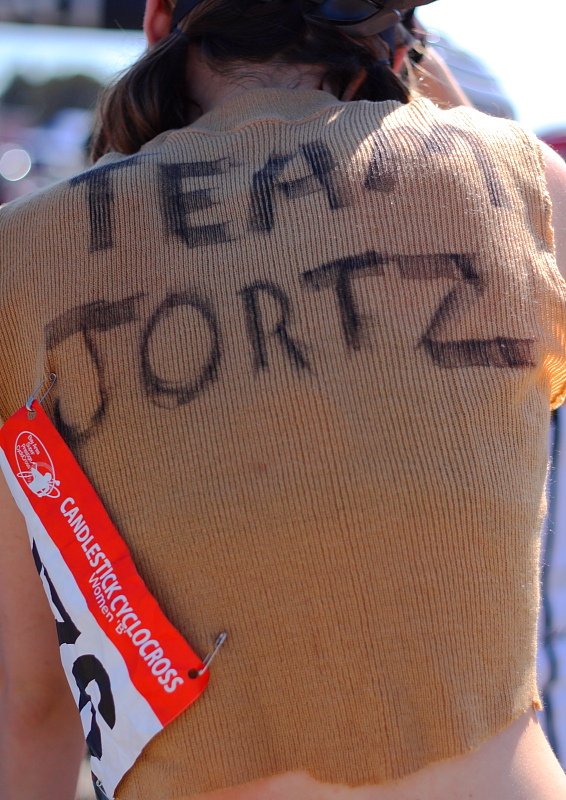 Also, please consider making a donation to Team Jortz! We are the grassiest-rootsiest and maybe the gassiest womyns team around! But really, we are here to have fun, bring the pain and get other women fired up about bikes and all the pain that will ensue from racing them in high CX fashion! Thanks for reading and see you at the races this fall! We are a grassroots CX Women’s team, show us your jortz support by making a $10 donation or something! CLICKA-THE-BUTTON!